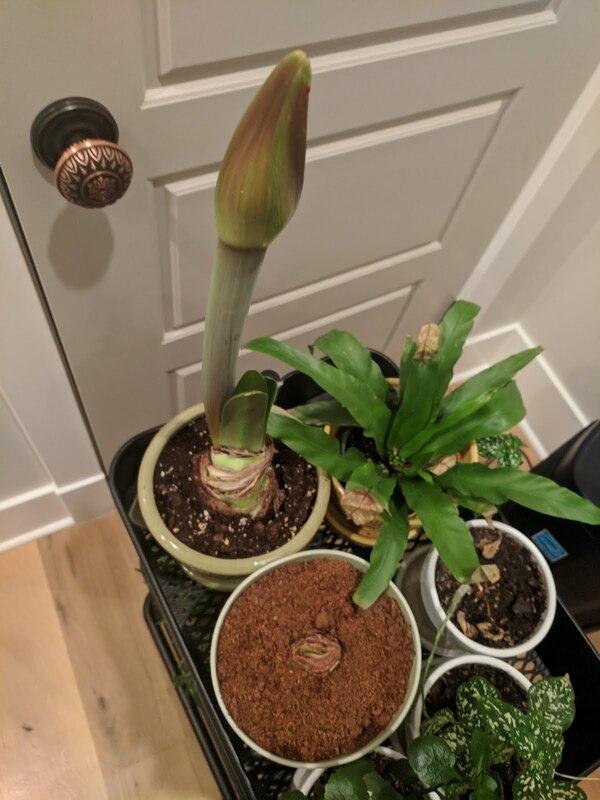 What you see in the two closest pots to the front of the photo are amaryllis bulbs. 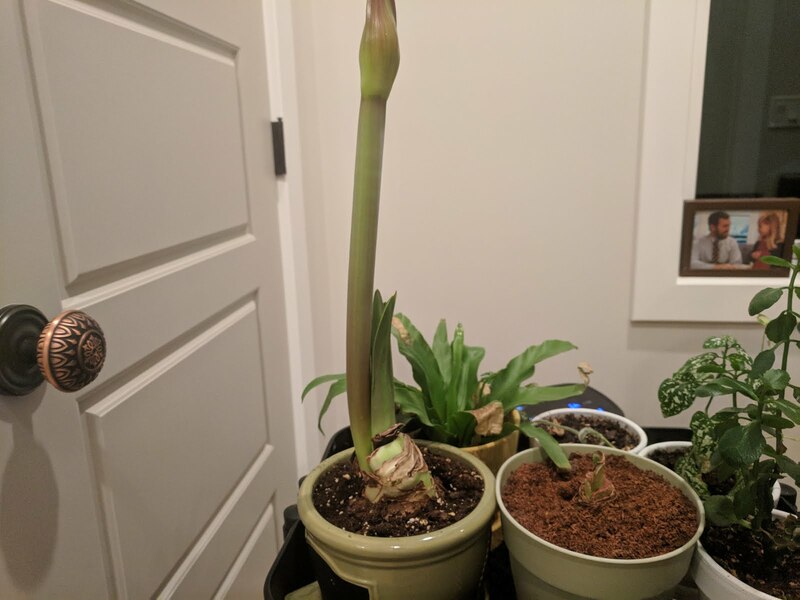 In different states of growth. On the left is a $14 bulb that I bought at Wannamaker's. On the right - the bulb that is *barely* sticking out of the dirt is a $3 bulb that I bought at Menards. I planted them at pretty close to the same time but they're at drastically different places in their growth cycle. The Wannamaker's one seemed expensive at the time, but now I'm thinking it was money well spent compared to the dud that is the bulb from Menards. I planted the Menards bulb in the puck of dirt that they sent with the bulb, but chose potting soil for the big one. I threw out the plastic pot from Menards and put it in a pot that drains. But...the coir (I think that's what the disk that expands of 'dirt' is called?) is contributing to the lack of growth? That might be part of it, but there's clearly a difference between the two, right? Like...the $14 bulb is just a better, stronger bulb. This is the second year that I've bought the Menards version and the second year that it hasn't grown, let alone bloomed. I won't buy one again. But I *will* buy one at Wannamaker's again. Check out the tall one in the photo below. You can see some of the red petals in the big bloom as it shoots towards the sky. With 10 or so days before Christmas, I'm hoping that we timed this one right and we'll get some pretty flowers right around Christmas. Or Festivus, maybe?